Fitness For The Rest of Us: Keli's Sauce: Low Fat, FULL Flavor, Gluten & MSG Free! Sauce Up Your Life! 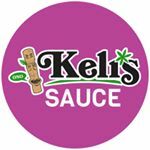 Keli's Sauce: Low Fat, FULL Flavor, Gluten & MSG Free! Sauce Up Your Life! I am always on the look out for tasty low fat ways to flavor up my meals so when the opportunity to review Keli’s Sauces came up- I was super excited. I had the pleasure of trying their Polynesian Sweet & Sour Sauce and it is AMAZING! It is creamy and flavorful. Great to marinade with, dip, and also great on veggies. If you like the taste and flavor of the Islands - Keli's is for you! Whether you’re looking to boost your BBQ flavor, craft a gourmet meal, or get the perfect present for Mom and Dad, this bold brand has got your back. Keli’s Sauces are also gluten-free, which is great for all those with gluten sensitivities. Keli's Sauces are also vegan with no MSG or preservatives so you can serve up hot, Hawaiian or BBQ classics for friends and family! Keli’s Sweet-n-Sour Grilling and Dipping Sauce is also an excellent glaze for chicken or pork. And it’s great over rice. I used it as a marinade for my chicken and then brushed some more on after grilling because I really loved the flavor. I do think it would be amazing over steamed white rice as well- I didnt have any though but next time, rice is on the menu! 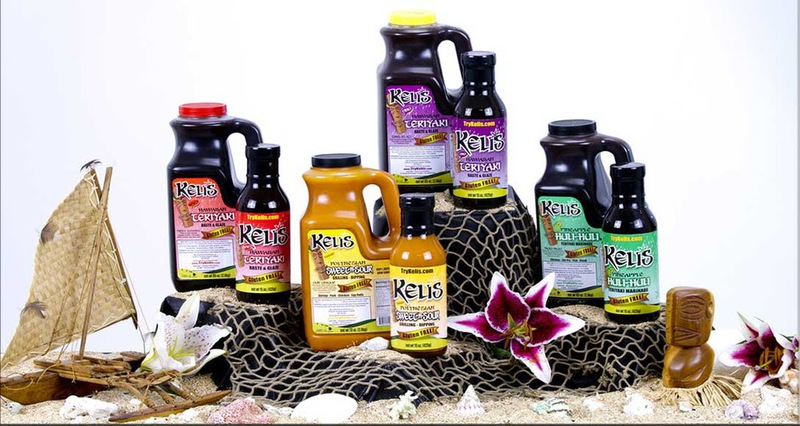 Originated in the Islands of Polynesia, Keli’s Sauces was a recipe passed down from generation to generation. The founders of Keli''s Sauces traveled to the Marshall Islands and made close friends with one fine Hawaiian family. During their time in the Islands, they shared a lot of meals and fell in love with the island inspired flavors and sauces.Together, the dynamic duo created a recipe for the delicious sweet ginger Teriyaki that the islands are famous for and from there the brand grew! Looking for something to spice up your grilled chicken, steamed veggies and brown rice? Check out Keli's - super unique and fun flavors that dont add a lot of fat to your meal but certainly add a lot of flavor. If you are getting bored with your healthy eating, which I know I am often uninspired in my meals, Keli's Sauces help you add zing without a lot of time and ingredients. Just sauce it and enjoy!